Stay to the south of the line within 300 ft. of shore with a kite flying. Don't ride inside 300 ft. of shore and don't walk down the beach with kite flying north of this line. In short, rig, launch and return south of the red line. Even if you see other guys doing this, don't do it yourself. There's a $500. fine and possibly 60 days in jail for some lucky kiter violating this City ordinance. Volunteers? Beyond that it threatens our access. else if necessary. The trick is to stay out of that area to the north within 100 yards of shore off the guarded beach at all times. good to risk losing it! in other cities. Guarded areas are easy to identify from the lifeguard stands. Also be considerate of bystanders at all times. Last edited by admin; 07-31-2012 at 12:03 PM. It is important to rig, launch and land to the south of the line shown. Beach erosion has narrowed that area of beach quite a lot too particularly at high tide. If that means walking further south to be able to rig and launch, then walk further south. If you are riding out, be sure to pass on the downwind side of the lineup of surfers while not riding through them routinely. If this means going inside a hundred yards of the guarded beach, tack offshore farther to the SE before heading north. If winds are east, onshore and too light to get out or the waves are too intense to allow getting out easily, do go off here. Head further south to where the waves might be lighter or wait for a better wind day. Do not ride within 100 yards of shore or walk with your kite on the beach north of the red line. If you are still working on staying upwind, if the winds are out of the SE why not setup to the north of Sand Dunes Park just north of Linton? That will give you over a mile of clear beach before you come into the out of bounds guarded area. If the wind is out of the NE, start south of the area mapped above for the same reason. Not everyone does these things. Then again, why do we still have threats to access? Do your part to keep us flying. Last edited by RickI; 09-22-2008 at 10:42 PM. NOW, it has a L A W restricting kiteboarding. in the area for Delray Beach sometime ago and general guidelines that have been in circulation for YEARS. precaution, unfortunately not everyone does however. Atlantic Dunes Park (just north of Linton Blvd). end of the guarded public beach just South of George Bush Blvd. OR DEATH emergency which may require a kiteboarder/kitesurfer to traverse on or within three hundred feet (300’) north, south or east of any municipal beach site. that hard to do but we don't have the option in Delray Beach anymore. KITEBOARDING APPROACH TO WITHIN 300 FT. of guarded beaches. These guidelines have been prepared by the Florida Kitesurfing Association, Inc. (FKA), to avoid promoting additional kiteboarding restrictions by City Officials. Kiteboarders should be aware of the requirements of City Ordinance NO. 39-03 restricting kiteboarding. 1.EXCLUSION ZONE: NO LAUNCHING, LANDING OR FLYING of Traction Kites is permitted ON or WITHIN 500 ft. of guarded beaches. 2.ALWAYS stay at least 100 ft. away from bystanders that are downwind, while flying your kite. Wait until the area is clear to launch or land. 3.Start downwinder runs, DOWNWIND of the guarded beach and DO NOT ride into nearshore areas off of the guarded beach under any circumstances. kiteboarding launch area marked by traffic cones and temporary signs. 5.AVOID UNNECESSARY RESCUES. If your kite is on the water, every 15 to 20 minutes, face shore and hold one hand on your head for several seconds to indicate that you are "OK". bystanders and shall act with appropriate caution. beach users and bathers. 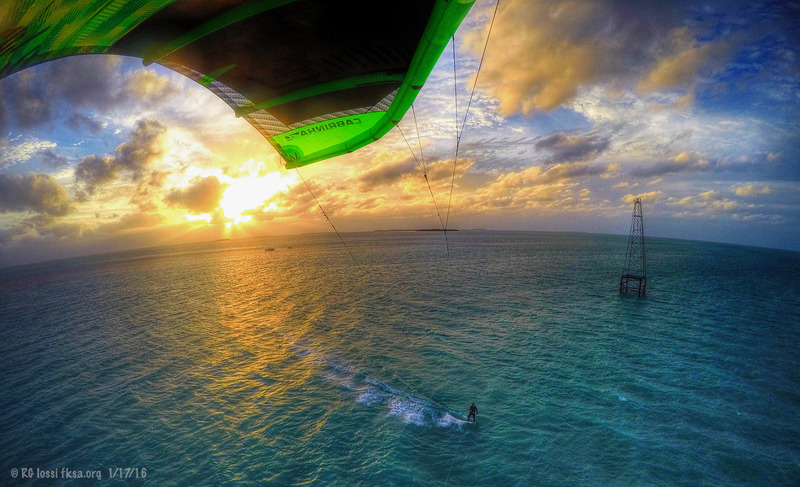 Work to avoid complaints to preserve your access to this kiteboarding launch. you want to fly on the beach, use a trainer kite. readily give assistance when needed. PROHIBITING KITEBOARDING AND PARASAILING ON THE MUNICIPAL BEACH SITE AND PROHIBITING KITE-FLYING AND WINDSURFING EXCEPT IN DESIGNATED AREAS; PROVIDING A SAVINGS CLAUSE, A GENERAL REPEALER CLAUSE, AND AN EFFECTIVE DATE. Department and devoted primarily to indoor recreation activities. than posted, and in any event, not more than 25 miles per hour. site except in places designated for such purposes. vehicles in a park, recreation or municipal beach site. pedestrian travel shall not be used for vehicular travel. written permit from the Parks and Recreation Department. force and effect in the parks of said city. recreation site, except upon bridle paths designated as such. Section 101.34 SURFING, SCUBA DIVING AND JET SKIS. Atlantic Ocean in a manner that constitutes a hazard to any other person. part declared to be invalid. be, and the same are hereby repealed. passage on second and final reading. the _______ day of ____________________, 2003. Let's work to AVOID more official involvement and restriction of our sport! Sorry Im posting so much lately. Season is getting close and Im trying to expand my kite spots. I've only ridden at Crandon, Matheson, Keys, and Hatteras. I would like to expand my options and stay out of "trouble" as well. I google mapped this beach. Are you saying anything north of Linton up to the line on your first map is fair game? Meaning you can come into shore with kite in air or setup anywhere along that stretch? Also can you x marks the spot for public parking or beach access to setup. I dont know the area. There is a single lifeguard stand and sign on the beach to the north of Linton and Atlantic Dune Park. As long as you are north of that sign and not causing complaints with residents along that stretch you should be good to go. Be careful about staying out of the dunes. One of these residents closer to the north end and kitebeach, came very close to banning kiting through complaining to the mayor years back. If you are walking back and bystanders are about to pass as a courtesy it is good to walk on the downwind side of them keeping them upwind of your lines. Not everyone does this simple thing which could pay off big someday. There are other large areas of private beach south of here. There are also areas of exposed rock on the bottom particularly in Highland Beach and parts of Boca Raton. Also, the width of the beach is pretty small in some of these areas. So, have a care down that way. Thanks for your concern, we would have a lot fewer issues and be able to focus more on riding if more had your outlook. Nice. Im not used to that long of a section of kitable beach. Thats sweet. It looks like, at least for that area, the rule of thumb is if there are houses behind the beach and no rows of lounge chairs/Cabanas and no lifeguard stations your'e good to go. That will come in handy for some downwinders. Yes that sums it up pretty well. Regarding downwinders, I heard about one from a few days ago. It involved some guys coming down the coast into Deerfield. I understand south of the fishing pier they came close, way too close to the beach, well inside 100 yards. We have had problems in Deerfield but as places go they haven't been that severe. If guys run within a 100 yards of shore along guarded beaches, ANYWHERE, we will have problems. There are far larger areas of rideable beach with better waves (if you're not used to waves, perhaps too good at times) and per ikitersurf, usually a bit more wind too, off Juno/Jupiter. Ft. Pierce goes off in N to NE winds south of the inlet with about 15 miles of clear beach maybe more to St. Lucie Inlet. I would swear it is like going to Maui when the wind and waves are on there. There are LOTS of area of clear rideable coast once you get out of the more heavily populated areas of SE Florida. "As members of this fantastic site you are considered a local kitesurfer to the Delray Beach area. Our summer saw some unexpected wind and we are now gearing up to enjoy a great WINDY SEASON! All of us have a true passion for this sport. We all kitesurf, thus we all know the safety issues and the perception surrounding this sport, both ours and those we come in contact with. Delray Beach has one of the best launches in the STATE... that is a fact! We have over a mile of beach to set-up, launch & land while enjoying the best kitesurfing has to offer; without getting into anybody's way, right here in our back yard. As the 2010 Season is officially here, it is up to us locals to police ourselves and to inform newbie's. All of us, the Delray Kiteboard community need to continue to take a proactive approach on safety. Thinking safe, being safe and informing others, ensures Delray does not go the way of Hobie Beach and other areas that did not regulate themselves well enough. We cannot ever let that happen here, we all have it too good! My job is to keep you and your family and everyone who ventures to the beach, safe. But as local kiteboarders is it not all our jobs? Everyone has heard the negative stories (Ft. Lauderdale kiteboarder hits condo) and the perception our sport can bring with one kite down in a bathing area or worst a severe injury to ourselves. Let's keep what we all enjoy! Be proactive, launch and land in the appropriate area, south of the Seagate, don't fly over people sitting/walking on shore, especially at the Seagate. Those lines are 25 meters so be courteous and wrap lines when not flying, stay 300 feet offshore and away from bathers....when doing a downwinder think what the perception is as you buzz the shoreline. We all can help educate those that may not know..........Delray has a great kite scene and being proactive toward SAFETY ...............keeps our sport strong! Delray Beach Ocean Rescue "
I just made some updates to the first post in this thread. Preserving access can be easy, we just have to follow a few rules, use common sense and courtesy. Be careful not to ride within 100 yards of shore in lifeguarded areas in other cities, particularly during downwinders. Too many guys starting from Delray have brought needless heat to Boca beaches. The same could historically be said of guys heading south into Delray Beach. We're all in one small community, so watch out for all of our access.